With Madden growing more popular and even more complex every year, we sometimes forget about the game that started it all. 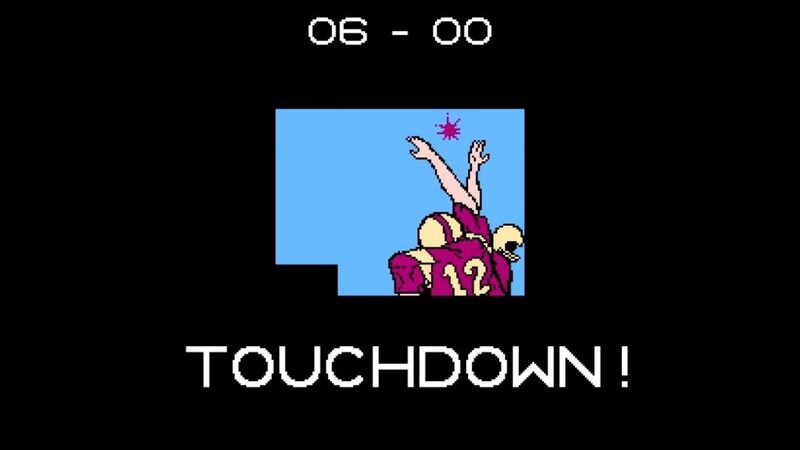 I cannot stress the importance of Tecmo Bowl twenty-nine years after its release. Originally an arcade game, Tecmo Bowl was ported to the Nintendo Entertainment System by the makers of such classics as Ninja Gaiden, Mighty Bomb Jack, and Solomon’s Key, and it took everyone by surprise by just how good it was. Nobody expected the Japanese developers of puzzle games and 2D platformers to succeed in creating a sports game, much less an American sports game, but they did. Named NES Sports Game of the Year, Tecmo Bowl provided players with the best football experience found on the NES console back in 1989 and it paved the way for what became the biggest trend in sports games to this day. Although Tecmo didn’t have the official NFL license to use the actual team names and logos (the teams in the game are identified by their home city or state), the game features players from 12 NFL franchises due to being licensed by the NFLPA (National Football League Players Association). Nowadays this doesn’t seem like a big deal but back in 1989 it was huge! Tecmo Bowl features some of football’s greatest players including John Elway, Bo Jackson, Marcus Allen, Mike Singletary, Joe Montana, Ronnie Lott, Walter Payton, and Dan Marino, and when it shipped 29 years ago, it changed everything for sports video games. Long before football video games became just as complex as real-life football, Tecmo Bowl laid the groundwork for what would be the standard moving forward. There aren’t many plays to choose from but you’re given the choice of 4 plays while on offense and another 4 while on defense. In addition, the game features three different modes: Single Player, Two Player, and Coaching mode which allows you to call plays while letting the CPU control the players on the field. The simple and responsive controls work perfectly within the framework of the game, and it is this simplicity that makes the game fun to play to this day. And regardless if you know don’t know much about the sport, anyone can easily follow along thanks to the broadcast camera view and two button controls. Tecmo Bowl is a seemingly effortless game in which everything falls neatly into place as if ordained by nature. It stripped football down to its basic elements and created a fun arcade experience anyone can enjoy. Tecmo Bowl was Madden before Madden was a household name. It’s the game that started the football franchise craze in video games and laid the groundwork for the even better, Tecmo Super Bowl. American football games have come a long way over the years, but what hasn’t changed is the sheer enjoyment any football fan can have when playing Tecmo Bowl. Tecmo Bowl is without a doubt the granddaddy of football games, and there’s something to be said for the back-to-basics formula that Tecmo Bowl employed. With technological enhancements in gameplay, graphics, power, and speed, the original Tecmo Bowl seems incredibly dated in 2016, but surprisingly the game holds up nearly three decades later. Editor’s Note: There were two NES versions of the game released in the U.S. The first release is easily identified by its black and gold seal of quality and the second version by its white and gold seal. It should also be noted that the names of players were removed on the virtual console release.